About 327,000 Ford F-150 and Super Duty trucks at risk of fires from damaged block heater cords. 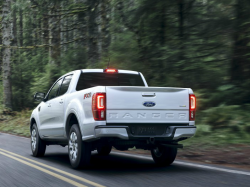 April 12, 2019 — A Ford engine block heater recall has been issued for 327,000 model year 2015-2019 F-150 and 2017-2019 F-Series Super Duty trucks that were recalled for the same heater cord problems in December 2018. The engine block heater cord recall includes about 131,000 trucks in the U.S. and more than 196,000 in Canada, all that were part of the previous recall of 874,000 trucks in 2018. The automaker says the splice connectors for the heater cords may have been damaged during previous recall repairs, damage that can cause multiple problems. The engine block heater could fail to function or the damaged cord could trip breakers and outlets. It's also possible fires could occur from overheated and melted wires while the engine heater is plugged in. Because of the fire risk, Ford is warning truck owners to not use the engine block heaters. When the December 2018 recall was announced, Ford knew of three Canadian fires that occurred while the block heaters were plugged in. This time the automaker says one fire in the U.S. and one in Canada may be related to faulty repairs from the previous recall. However, there have been no reports of injuries related to the engine block heater cables. 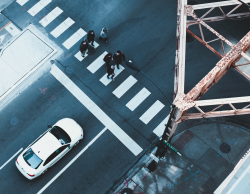 The 2018 recall had been ordered due to corrosion of the cords that caused electrical shorts, corrosion blamed on the way the female connectors angled upward. Ford dealers were told in 2018 to seal the block heater cords or replace them, but this time dealers have been told to disable the engine block heater cables by cutting off the plug end prongs and sealing the end caps. The 2015-2019 Ford F-150 trucks were built in Michigan between March 18, 2014, to November 17, 2018, and in Kansas City from August 21, 2014, to November 17, 2018. The 2017-2019 Ford F-Series Super Duty trucks were built in Ohio between February 5, 2016, and November 17, 2018, and in Kentucky between October 8, 2015, and November 17, 2018. While waiting for replacement cords, Ford dealers will disable the engine block heaters so they can't be used. Ford customers will be contacted a second time when dealers have relacement engine block heater cords. 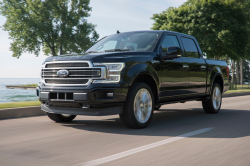 If you drive a 2015-2019 Ford F-150 or 2017-2019 Ford F-Series Super Duty truck and have questions about the recall, please call 866-436-7332 and refer to number 19S11.